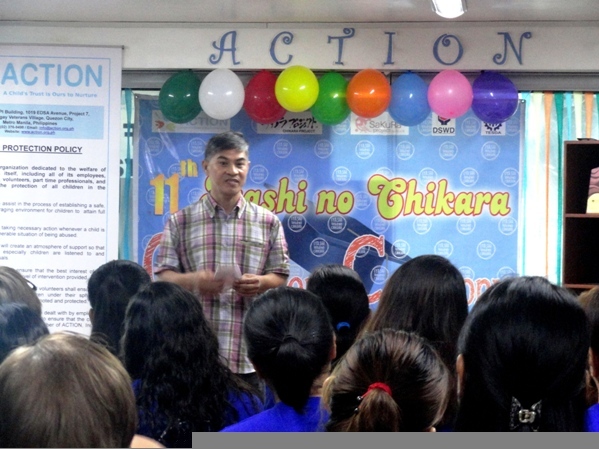 The 11th Batch of Iyashi no Chikara (Power of Therapy) Project celebrated their Graduation Exercise last October 25, 2018 at ACTION Chikara Studio, Quezon City. 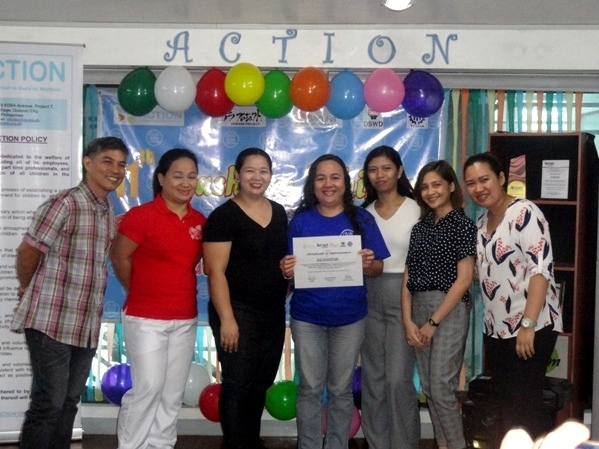 This training batch was in partnership with the Local Government of Barangay Sto. Cristo, Quezon City. A total of 25 graduates (1 male & 24 female) successfully completed the Basic Massage Therapy Training. 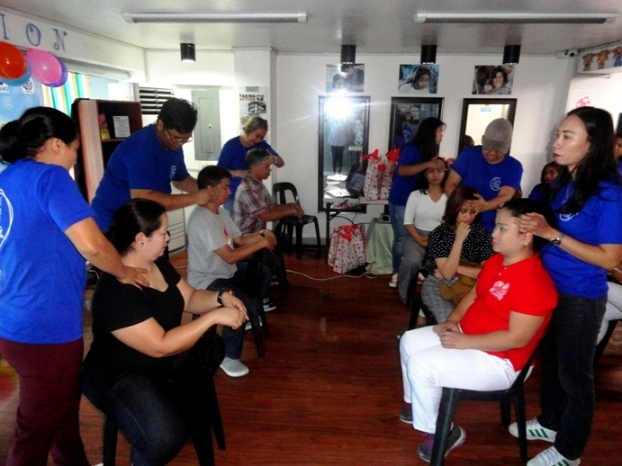 The graduates were trained on 4 types of massage techniques specifically Swedish, Shiatsu, Traditional Pinoy Hilot and Chair Massage. Ms. Marianne Verdadero of Renable Philippines and Brgy. Kagawad Sheila Gallanosa of Brgy. Sto Cristo gave their congratulatory message to the graduates. They encouraged the graduates to continue practicing the skills they have acquired. They also reminded the graduates to think not just of earning money but most of all to give relief to clients. 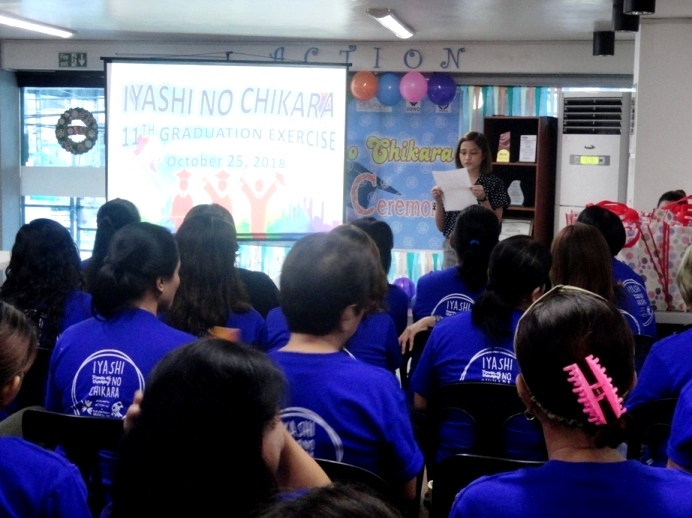 Ms. Verdadero also informed the graduates of the job opportunities that awaits them through Renable Philippines. As the highlight of the event, the graduates were awarded with Certificates of Completion and massage starter kits. Special awards were also given to Ms. Marian Ballego (Most Punctual), Ms. Ma. Merla Doromal (Perfect Attendance), Ms. Josephine Aller (Perfect Attendance) and Ms. Joji Suguitan (Outstanding Performance). The graduates showcased their skills when they performed seated massage to the guests and staff.